Decleor Arome Euphoric Pebbles release a bouquet of warm aromas on contact with water, bringing sensual, musky scents to your bath. The key notes of Rose, Camomile and Geranium combine to soften, protect and soothe the skin. Essential Oil of MatŽ is known for its woody, smoky scent and its fortifying and de-stressing properties. 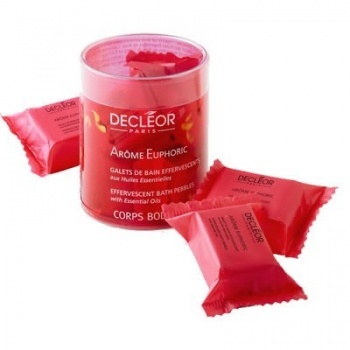 Decleor Arome Euphoric Pebbles are the perfect way to calm and soothe away the day.